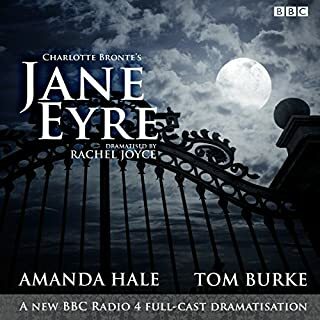 Amanda Hale and Tom Burke star in a brand new BBC Radio 4 full-cast dramatisation of Charlotte Brontë's most beloved novel, adapted by Rachel Joyce. Orphan Jane learns at an early age that self-control is the surest means of retaining self-respect in adversity. 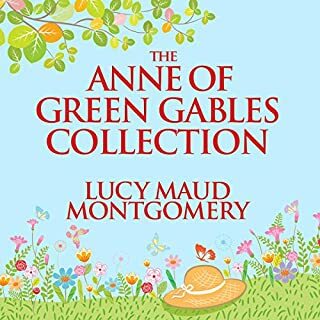 It is a lesson that serves her well in the years ahead as she endures the misery of life with her cruel, uncaring aunt, followed by the harsh regime at Lowood Institution, a charity school for poor children. Following Jane from her childhood as an orphan in Northern England through her experience as a governess at Thornfield Hall, Charlotte Brontë's Gothic classic is an early exploration of women's independence in the mid-19th century and the pervasive societal challenges women had to endure. 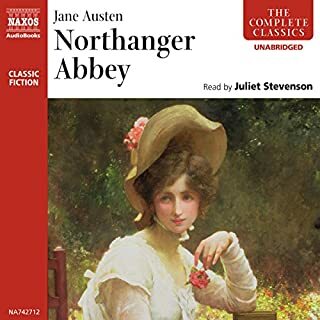 At Thornfield, Jane meets the complex and mysterious Mr. Rochester, with whom she shares a complicated relationship that ultimately forces her to reconcile the conflicting passions of romantic love and religious piety. Performing the early Victorian novel with great care and respect, actress Thandie Newton (Crash, The Pursuit of Happyness) draws out Jane Eyre's intimacy and depth while conveying how truly progressive Brontë was in an era of extreme restraint. I wanted to read an old novel while on holiday, my husband also enjoyed listening to the beautiful old style language and appreciated the morals and stoic ways. Was much more enjoyable having someone read to me than the time many years ago when i read it to myself. Excellent reader. The choice of reader was. Superb one. She truly brings this beloved classic alive. The characters were distinct and delineated vividly. What made the experience of listening to Jane Eyre the most enjoyable? 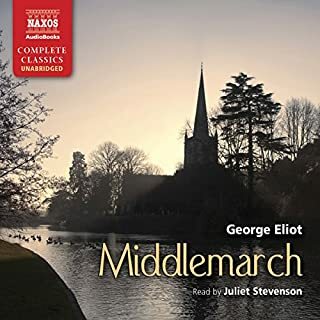 Listening to the master or should I say, mistress story teller, brilliant, of its time, told in ageless language, easily understood in this time and age. Perhaps a little too critical of the French but understandable. What was one of the most memorable moments of Jane Eyre? The moment at the altar when Rochester nearly allowed his passion for JANE TO CUASE HIM TO BE A BIGAMIST! What does Thandie Newton bring to the story that you wouldn’t experience if you had only read the book? She lives the part admirably, using the language and accent of the time. I would be in a very long queue as a critic and a very humble one at that ,I leave a thorough critique to my betters! What a truly beautiful story full of so many heart warming and uplifting moments to be with Jane in her journey from childhood through to adulthood was just I am a lost for words but it was beautiful and I will miss her. Highly recommended and Thandie did an outstanding performance!! Thandie Newton is an excellent narrator and I loved listening to her do various voices and get into character with this classic tale. struggled to finish. Thandie Newton's voice was the only thing I enjoyed about this book. Thandie Newton was an amazing narrator! Loved this production- Jane’s voice was exactly as I imagined her. great narration. not a great story. Better to be heard than seen! What a wonderful way to take in a classic. While wading through the spectacular writing style of Bronte one can occasionally get somewhat bogged down in the thick language, having to constantly gauge context and meaning makes for much slower progress than listening to the same text. The story flew being read, all emotions and intentions laid bare with no effort on my part to interpret needed, it made the journey effortless and enchanting. 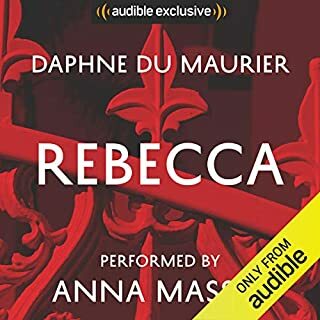 I recommend anyone wanting to study this text listen to it first, the full meaning of each scene given on a silver platter that can be further devoured in the actual text. And to anyone wanting a beautiful, enticing story to listen to then this will suit you perfectly also. I could not stop listening, even when I should have been asleep. I read Jane Eyre as a teenager and found the story painfully romantic even though extremely tedious. 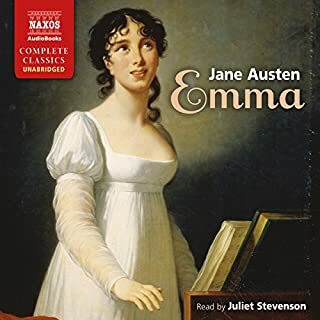 I had mostly forgotten about it, but hearing Rosamund Pike read Pride and Prejudice (another absolutely perfect performance) prompted me to explore other classics that I struggled with in book form. Thandie Newton enthralled me! I could swear that I too was living the story. She gave this book the timelessness it deserves! I will definitely keep this audiobook set aside for my future daughters and the young women I influence. Jane Eyre herself inspired in me greater self respect and love. What a wonderful character! DO NOT HESITATE TO PURCHASE THIS BOOK!! 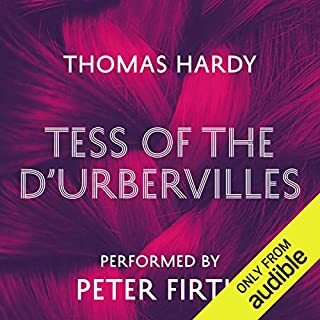 I have listened to quite a few audible books so far and I think this is the first one that had me insatiable. I could not stop listening!! Superb Narration of a Fantastic Book! 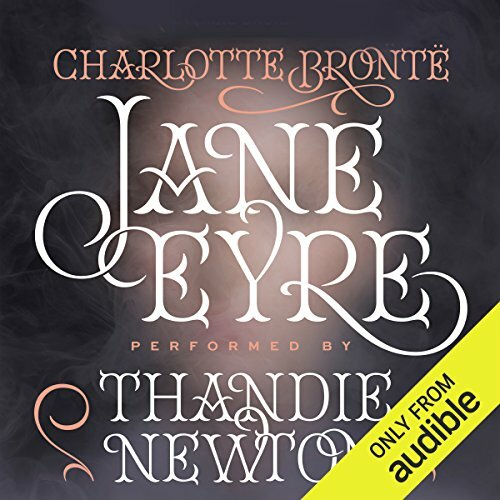 This is the third version of "Jane Eyre" I have, the other two narrated by Juliet Stevenson and Emma Messenger, and I can say without a doubt in my mind that Thandie Newton makes this the best listen of them all. 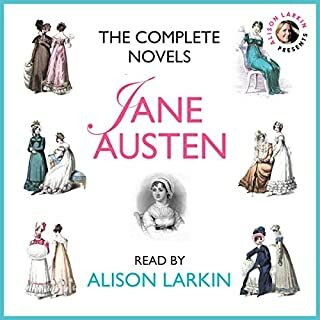 Her accents are impeccable, her ability to convey drama and emotion is sublime, the fact that she can carry off Jane as a child and then move on to Jane as a young woman is astounding and glorious to listen to. 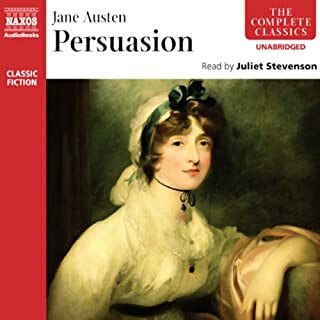 We're treated to the four separate lives of a truly remarkable literary character: Jane as an easily ruffled and sometimes histrionic child, Jane as a smooth yet lovelorn governess at Thornfield Hall, Jane as a content yet suddenly challenged young woman at Moor House, and finally, Jane in her final life, the life the story has been building to, the life she was destined to lead. And Ms. Newton handles each situation, each character therein with perfect ease and grace. The only, oh so minor, difficulty I had with her performance was that Mr. Rochester was a tad growly. But then again, the man is a tad growly, a tad crotchety and challenging. But she carried off his bouts of passion, his deadpan humor, his utter earnestness, so very well that I was totally swept away. Nineteen hours go by quickly if you're utterly absorbed by a fantastic story with a character who has such a brilliant character arc. 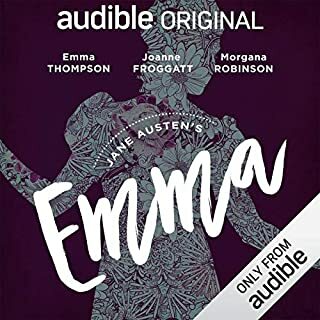 I was honestly and truly sad to hear those words: "Audible hopes you enjoyed..."
But, boy, was I tremendously satisfied! I can't recommend this version of the inimitable "Jane Eyre" highly enough. Charlotte Bronte had a lot to say, and she said it very, very well! I listen to hundreds of books each year, and read even more. Rarely have I enjoyed a book more. This was not a reading, but a masterful performance. 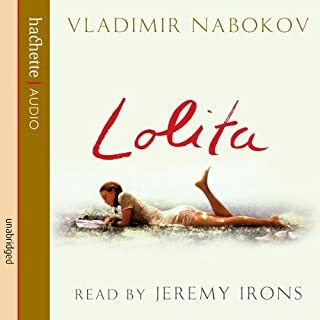 I have read the book countless times, and listened to several other readings, but listening to this narration was even better than reading it for the first time. It sounded as if a very talented actress was giving voice to her favorite story of all time, not for money, but for love. I am completely blown away by Thandie Newton's performance! There were so many times I had to remind myself who was narrating because here voice changed so seamlessly with each character. What a talent! Not to mention this book is a classic and a superior one at that. Well worth the 19+ hour listen. Gets even better each time you read it! Outtanding narration makes this classic even more compelling and addictive! This story is a "must read"! Ms Newton was an Audible Tour de Force!! I never got around to reading Jane Eyre but I finally decided to listen and I am glad I did. 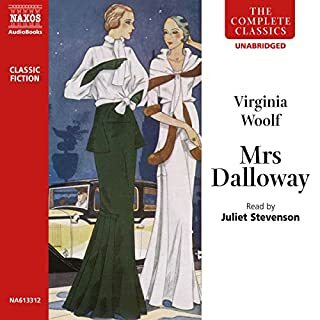 I loved this book immensely and I thought knew the story thanks to PBS - Masterpiece and the like but I found "I know nothing" and now I know all. Ms Newton gave true voice to every character man, woman or child with such skill that I was enthralled. At once I was on the edge of my seat in anticipation while riding an emotional roller coaster to the end of the line with her Jane. She breathed life into a story that could have been tired. I apologize if I sound like I am gushing but I speak only the truth of my experience with this book and this extraordinary performer. Never a big fan I liked her in films and respected her work. I am now a fan and I look forward to seeing and hearing all of her work in the future. This is a wonderful story and Thandie did and amazing job narrarating every character with different voices. So convincing. I thought I was an Emily gal...Wuthering Heights has always been my go-to book for English romanticism. Because I love Wuthering Heights so much, I never read Jane Eyre...until now. This book is so beautifully written, so deep in its emotions, so raw in its power...I want to start on page 1 and read it again. You know the story: Jane is a badly treated orphan. She rises from this abusive childhood to become an educated and caring young woman who finds true love, only to be dashed in her hopes of marrying him due to a mysterious secret of his past. Jane is forced to forge a new life but her soulmate, Mr. Rochester, is never far from her heart. Eventually, she finds her way back to him. He is now a damaged figure but has never forsaken his love for her. This novel is beset with hardship but it is romantic and hopeful. Thandie Newton does a PHENOMENAL job narrating this story. Her characters are clearly delineated, the voicing is pure and easy to understand. She is a treasure as a narrator! I loved her narration...just as I loved this book! 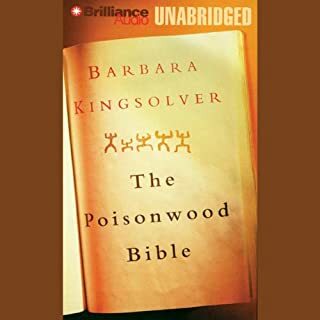 Having never read this classic before, I was excited to purchase this on Audibles. 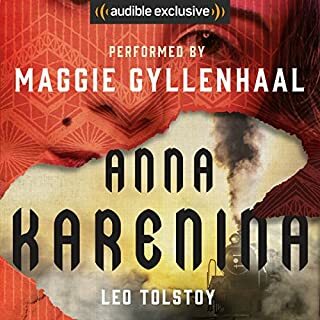 And I must say: this audiobook went above and beyond my expectations! Thandie Newton was an absolutely phenomenal reader, and brought the characters to life in a vibrant and movie- like manner. This is certainly one of the best if not THE best book I've ever listened to on Audibles. Audibles, keep bringing in wonderful narrators: it makes these classics come to life. I thoroughly enjoyed listening to her bring the novel alive. I hope to hear more works read by her. I defy anyone not to be completely swept up in Charlotte Bronte's magnificent story, made all the better by Thandie Newton's superb narration. Newton is an absolute wonder!! 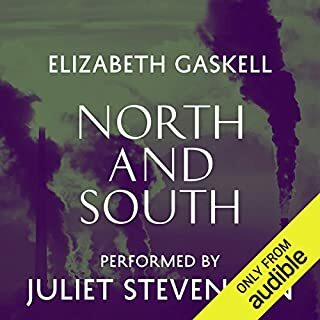 Her subtle vocal skills breathed fresh life into this classic story set in the Moors of Northern England. I was hooked from the first chapter. Very highly recommended. The best part about this book is the reader, she really brings the story to life with her different accents and voices. Jane Eyre will always be one of my favourite books, I can't fault it! 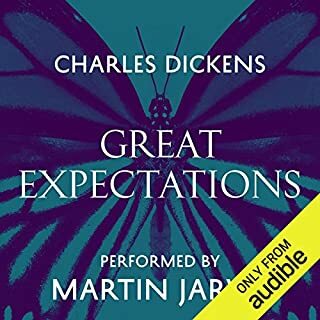 This is one of the best Audiobooks I have listened to. just didn't want it to end. Thandie's rendition is truly faultless. What a classic. I had forgotten the story having not read since I was at school, so 50 years later I think I enjoyed it more. Its a must read and enjoy! Jane Eyre is a beautifully written novel that I've read numerous times. 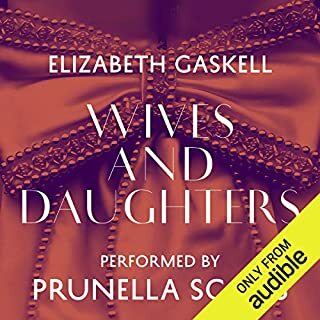 I really enjoyed this audible version thanks to the wonderful narrator. I would definitely listen to Thandie Newman again. Thandie Newton's performance is amazing!! If you could sum up Jane Eyre in three words, what would they be? What other book might you compare Jane Eyre to, and why? What about Thandie Newton’s performance did you like? Thandie Newton is the PEFECT narrator for this story. I loved listening to her. Loved it. The perfect tone, she made every character come alive seamlessly. An incredible narration for a true classic! What did you like most about Jane Eyre? The narration was fantastic. Thandi really brought the book to life - I was completely immersed in the story from start to finish and was really sad when it was over. I always think Jane Eyre is very similar to Wuthering Heights. 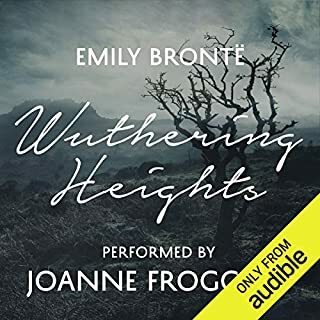 The Brontes have an exceptional capability of capturing the passion of forbidden love with the anti heroes and really drawing you into the complex characters in their tales. Nothing is black and white, which keeps you guessing until the end. When Rochester declares his love for Jane! My heart skipped a beat, such a beautiful scene. The ending is so beautiful and bitter sweet and Thandi's narration was incredibly moving. I couldn't stop crying! This really is an amazing listen, I encourage anyone to download it, they won't be disappointed! So much better than Wuthering Heights! I loved Jane. She was such a great character. I also loved the mystery. Which character – as performed by Thandie Newton – was your favourite? I was a bit worried as I hated Wuthering Heights but Jane Eyre was totally different. I loved Jane as a character and her growth. I think I might give the book an actual read.